One of the greatest advantages of tracking metrics is it allows for easy identification of specific areas of improvement in individual swimmers. Improving metrics is a necessary step to improve overall performance. So once you’ve identified which metrics need more work, you can start tailoring workouts and implementing drills to target those areas. DPS plays a big role in determining overall stroke efficiency. 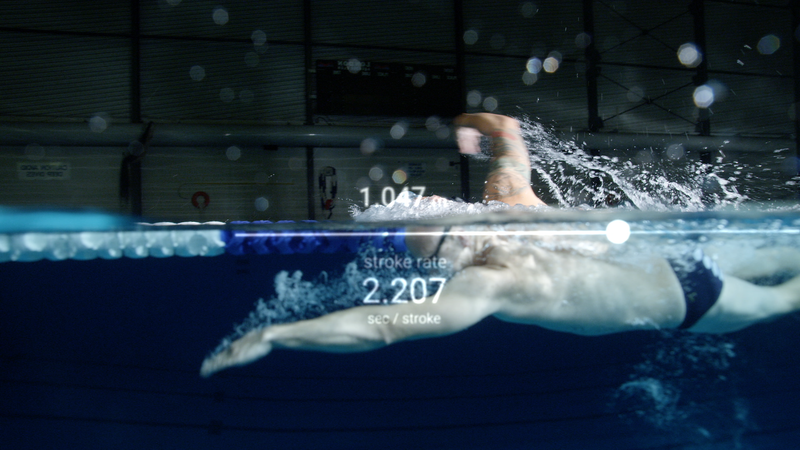 It measures how much distance a swimmer produces in each stroke. The optimal DPS varies between athletes, strokes, and distances, but every swimmer can benefit from improving their DPS. Sculling is a great drill that allows swimmers to get a solid feel for the water. There are different variations of this drill, but the main idea is to isolate the forearms and hands, sweeping them side-to-side in a circular or figure eight motion, depending on the variation, to move through the water; a pull buoy can be used to maintain body position. This drill develops stability and forearm strength, but most importantly, it helps improve the catch at the start of each stroke. Without a proper catch, the swimmer won’t have a good hold on the water, and DPS will suffer. For freestyle and backstroke: With one arm pinned to their side, swimmers use the other to swim down the length before switching sides. They would swim as if they were using both arms, with full body rotations, normal kicks, deep catch, proper breaths, and recovery. 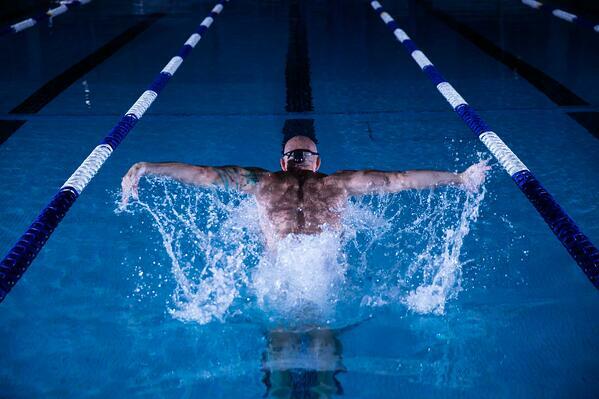 For butterfly: With one arm up, swimmers use the other arm to swim fly as they normally would. This way, they can work on improving their rhythm, pull, kicks, and breath without tiring too quickly and losing focus on form. The single-arm drill develops proper form and technique, as it trains balance, coordination, timing of rotations (for back and free), timing of breath (for fly), and length of strokes. It improves stroke efficiency, producing more distance with each pull. For this drill, swimmers do a dolphin kick in place of a breaststroke kick. The dolphin kick would be an exaggerated motion, emphasizing the undulation and forward drive. This drill develops pull strength, but more importantly, it trains the connection between the lower and upper body. Properly timing the pulls and kicks to each other is crucial to maximize the glide and increase DPS. Stroke Rate measures a swimmer’s stroking speed. Just like with DPS, optimal stroke rate varies between swimmers, strokes, and distances, but for the most part, the optimal stroke rate is one the swimmer can maintain throughout the distance of their event without compromising DPS or any other metric. By keeping their heads out of the water, swimmers will have to kick harder to keep their legs up, and increase the tempo of their pulls to keep their upper body from sinking. This drill takes away the glide, pushing swimmers to keep their elbows high and start the catch immediately after recovery. This trains them to increase the pace of their stroke turnovers while making sure not to lose their catch. This drill replaces breaststroke kicks with flutter kicks. Unlike the breaststroke pull with dolphin kicks drill, using flutter kicks keeps the body steady. This isolates the upper body and keeps the focus on increasing the tempo of the pull. The 2-2-2 drill alternates between single arm (2 right, 2 left) and full cycle (2 regular) pulls. The 2 single arm pulls will encourage a faster stroke rate, as rotation will be easier. This tempo should be maintained when transitioning into the other arm and the full cycles. 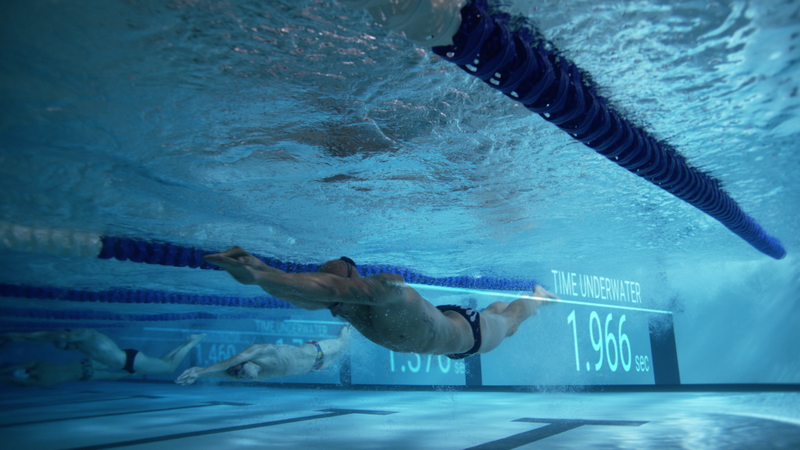 This drill trains the swimmers to pull at a faster rate, while maintaining smooth rotations on the stroke turnovers. The key to optimizing this metric is to find the perfect ratio between distance off the wall and time spent underwater. The goal is to capitalize on the push-off momentum and travel the greatest distance in the least amount of time. The ideal distance for any swimmer is to surface just before the velocity underwater falls below maximum stroking velocity. There are plenty of variations for vertical kicks with varying degrees of difficulty. It can be done with or without fins, with arms down by the side, up with elbows out of the water, in a streamline position, or with a weight above the head. This drill pushes swimmers to increase the power and tempo of their kicks, as well as execute each kick with proper form; they will sink otherwise. Vertical dolphin kicks develop core and leg strength, which is essential to optimizing time underwater. These drills can be modified depending on each athlete’s specific needs and goals. Some variations may include the use of different swimming equipment. Check out our blog post on maximizing swimming gear to effectively supplement training plans.